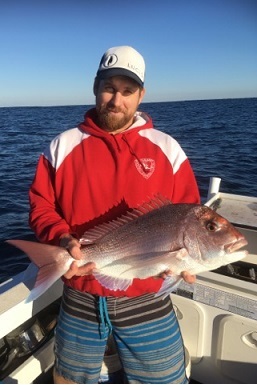 We offer a range of fishing charters throughout Perth and other parts of Western Australia. Our charters leave from Perth, Fremantle, Mindarie, Broome, Abrolhos Islands, Exmouth, Shark Bay, Montebello Islands and Esperance. Watch humpback whales glide effortlessly through the ocean off the coast of Perth. For those that are a little more adventurous, dive with the whale sharks on the Ningaloo Reef. This spectacular once-in-a-lifetime tour cannot be missed! We offer a large range of luxury boats for birthday parties, other special occasions and general sight-seeing. Cruise up and down the Swan River or make a day/overnight trip across to Rottnest Island. Our experienced staff are on hand to make your day as enjoyable as possible. Welcome to WA Fishing. It is no secret that Perth is a fisherman’s dream location. The undeniably beautiful surroundings and the great variety of species of fish gave Perth this well-deserved reputation. Whether you are in Western Australia on holiday or Perth is closer to your home, we have a great number of choices in fishing charters. 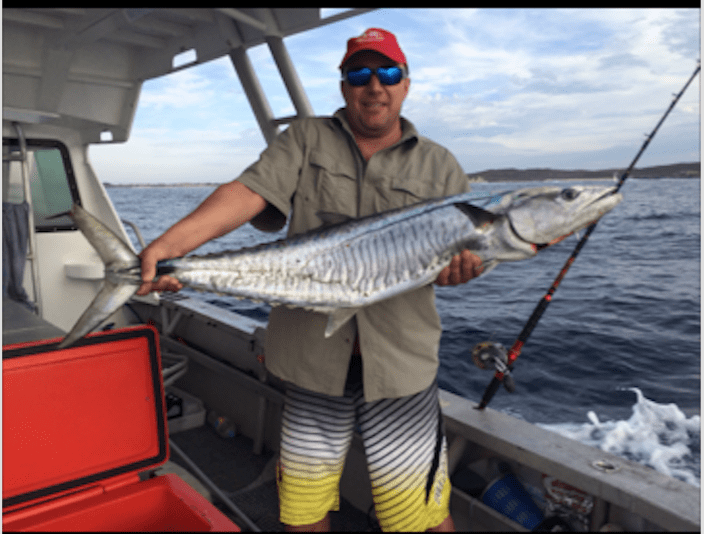 Instead of dragging your Perth fishing gear to a beach or pier, consider treating yourself to a fun filled and exciting adventure courtesy of WA Fishing. We are expert anglers who will happily take the guesswork out of snagging a catch you will be proud of showing off. Whether you are an experienced deep-sea fisherman or a first timer trying out something new, we have several Perth fishing charters to fit your needs. ​At WA Fishing, our focus is on providing our guests a memorable day; complete with the best fishing experience, friendly staff, food and drinks, and more! We pride ourselves on taking care of all the details so that our guests can enjoy the excursion. We begin before you set foot onboard, by providing a no charge car park and a gift shop for any incidentals you may need. 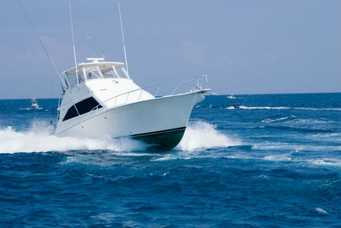 Our vessels are equipped with all of the latest electronic fish finding equipment. Once you catch a fish, our crew removes all your fish from your line and then spikes and tags those fish you want to keep before placing the fish in ice. We have first class facilities below deck as well as a lounge and bar area if you would like to take a break from the action. 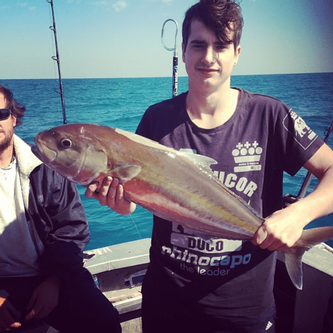 ​At WA Fishing Charters Perth, we do everything in our power to make certain your day is a memorable and brilliant experience. The weather is one factor which can make or break a Perth fishing charter. We have a strict policy of not taking clients on fishing excursions if the weather conditions are not safe. To that end, we constantly monitor weather conditions and confirm all departures 12 hours prior to your scheduled departure. In the unfortunate event that we must cancel your charter because of poor or dangerous weather conditions we will reschedule your excursion free of charge. Because of this, please be sure you have confirmed your charter before coming to the dock. 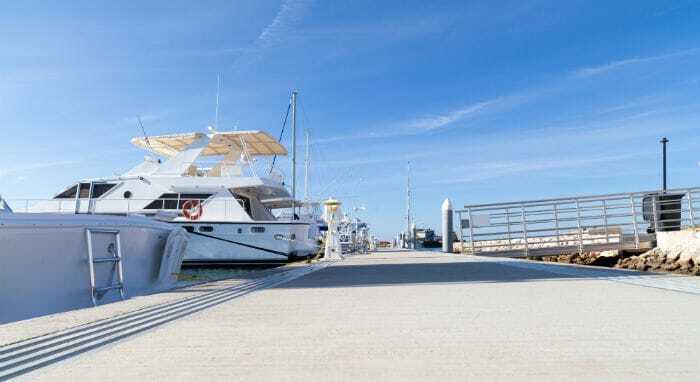 There is no reason to be fretful about the new Recreational Fishing Boat License requirement; all of the paying customers on board a licensed fishing boat are exempt from the recent RFBL. 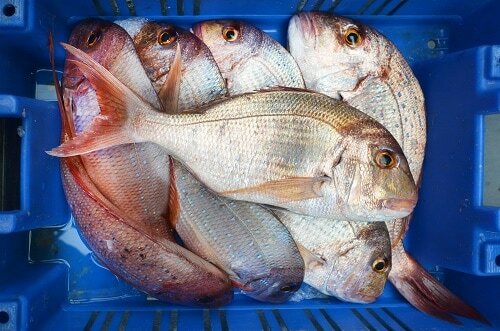 There is also no need to be concerned about the fishing regulations; we take the guesswork out of which fish are keepers and which fish need to go back in the water. 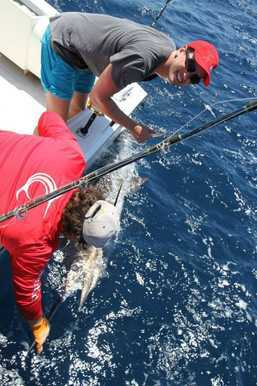 Fishing Charters Perth - The best big and small fishing charters Perth has to offer at the most competitive prices. 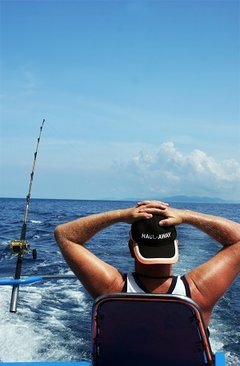 Deep Sea Fishing - Contact us today to organise your ultimate deep fishing experience with the team at WA fishing. We leave from multiple locations across the state including as far north as Broome and as far south as Esperance. Samson Jigging - We are equipped to give beginners through to experts the best samson jigging experience they have ever had. Samson know how to fight - and we know how to find them! Night Fishing - When the sun goes down the fish come out to play. We are committed to providing a quality, safe and fun game fishing experience. Private/Corporate Charter Events - We cater for all types of private events and customise each one to fit in with your requirements. Perfect for bucks parties, corporate team building events, birthdays and more! 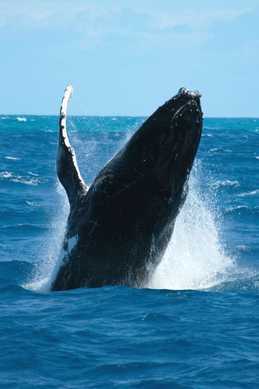 Whale Watching - Experience the might of the humpback whale in the Indian Ocean off Perth's coastline. The whale watching season begins in May and finishes in December. Whale Shark Diving - Diving with whale sharks and other marine life is something you will cherish for the rest of your life. An experience everyone should have on their bucket list! 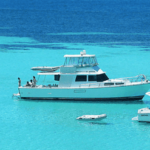 Boat Cruises - We offer all types of boat cruises for all types of occasions. Boat Parties - If partying is your thing we can steer you in the right direction with the best boat parties Perth has to offer. These include birthdays, weddings, corporate events, bucks and hens parties, and more. Helicopter Tours - There is nothing like seeing the Western Australian coastline from the air in the company of an experienced pilot! WA Fishing is the #1 rated company for all types of Perth fishing trips and other tours. 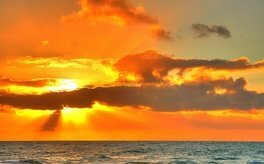 Why Not Take A Sunset Perth Fishing Charter? Here at Fishing Western Australia, on Fridays and Saturdays from late spring through the summer months, you can take advantage of our sunset charters. This is a laid back and low-key excursion, which is perfect for first timers, and anglers who just want to enjoy a slower pace. For this shorter outing, we don’t venture out quite as far as we do for the standard charter; we anchor over areas with rough ground. This gives you a chance to find some different varieties of fish, and if you are unsure about your sea legs, this smoother and shorter trip is a great way to try out a fishing charter before proper game fishing. We depart at 6:00pm and return shortly after you have experienced the most beautiful sunset you have ever seen. While on board, cast a line, enjoy the view, help yourself to an ice-cold beer or soft drink, and choose from an array of freshly made sandwiches, salads, and snacks. Are you looking to entertain some special clients or just have a great day out with two dozen of your closest friends? The group excursion is just what you need. For this charter, the whole day belongs to you. We accommodate up to twenty- five passengers and treat everyone to an unforgettable adventure. In addition to first-class deep sea fishing, we provide first class service including a welcome breakfast served shortly after we get underway, ice-cold soft drinks and beer, heaping seafood platters served with all of the trimmings at lunchtime, and mini fruit pies for dessert. This charter is perfect for the avid angler, casual fisherman, or a first-timer looking to enjoy the day with mates. We depart at 6:00am and return roughly around 4:00pm. At Fishing Western Australia we accept special requests for night deep-sea excursions. These depart at 7:00pm during the summer months and are available on weekends only. Once on board, we provide cold beverages, make your own sandwich platters, and trays of assorted sweets. Plan on bringing along warmer clothes, because even in the summer, a cold breeze can pop up in the overnight hours. 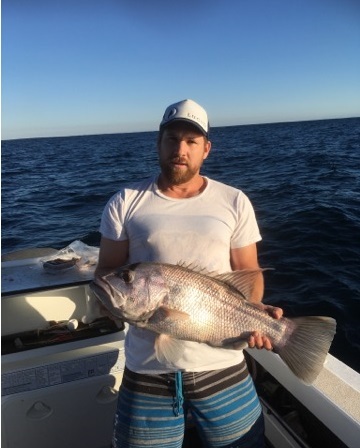 Although our tours leave from a variety of locations throughout Western Australia (and therefore the specifies of fish differ), on our standard charters we are on the lookout for species such as dhufish, pink snapper, red snapper, breaksea cod, samson, King George whiting, marlin and baldchin groper. However, if there is a special fish you have your sights set on (maybe the one that got away) let us know when you book your charter fishing Perth or WA tour and our skipper can get you where you need to go. On our daylong charters, we depart at 6:00 am and return around 4:00pm. 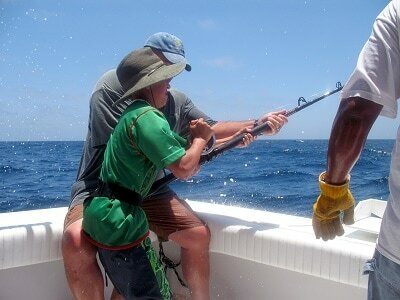 We fish in depths between 45 to 200 metres so you can look forward to an authentic deep sea fishing charter experience. Once underway there are a few options depending on what you would like; we can troll to catch the surface fish, drift, or go jigging for the likes of Amberjack and Samson fish. If you prefer, a combination of all is also an option. We like to start your day off right so once you are aboard we provide hot beverages, juice, fruit, and biscuits. At noontime, we provide you with a delicious feed. ​Bottled water and soft drinks are available throughout your day. 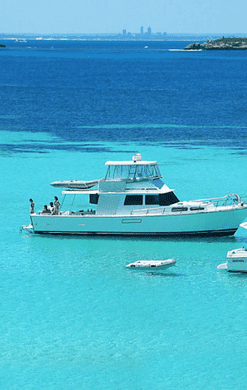 We offer boat cruises for special events that depart from Perth, Fremantle or Rottnest Island. Our boats are equipped to take up to 60 guests on an exceptional excursion. Our boat cruises are suitable for any occasion including Christmas and New Year celebrations, weddings, engagements, and parties. Below deck, we have facilities for men and women along with a lounge area with plush seating and bar area. On deck, we have tables covered by overhead canopies for protection from the elements. Our party planning staff will work with you to coordinate catering, décor, and set-up for your event. We have impressive menus at a wide variety of price points or, if you prefer, we have an option for you to bring your own. Whatever the occasion or party size, you can be sure that you and your guests will enjoy impeccable, personal service. Your dream fishing charter is waiting for you, book with WA Fishing today!